Our product range includes a wide range of aluminum buffet stand, buffet bowls stand and silver plated gift. 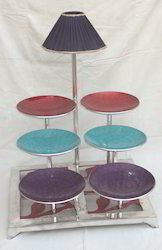 Aluminum Made Buffet Stand With Multi Layer Fixed Round Plates.Custom Design Is Possible. 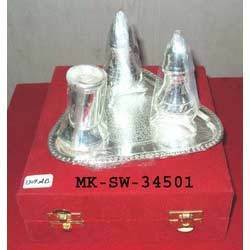 We are manufacturing & exporting Buffet Bowls Stand in different designs, shapes and sizes such as Nontip Antiskid Buffet Bowls Stand with Top and Side Embossing. Looking for Hotelwares Items ?